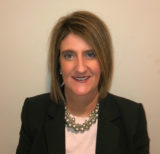 Joanna Fortson joined PWSC in 2018 as the Southeast Regional Sales Director. With over two decades of extensive sales experience, she is well versed in the insurance industry. She is a strong, enthusiastic addition to the PWSC Sales Team. Joanna is a very proud graduate from the University of Tennessee. How many homes do you build annually?